I have no idea where this photo originated, but it is certainly impressive. 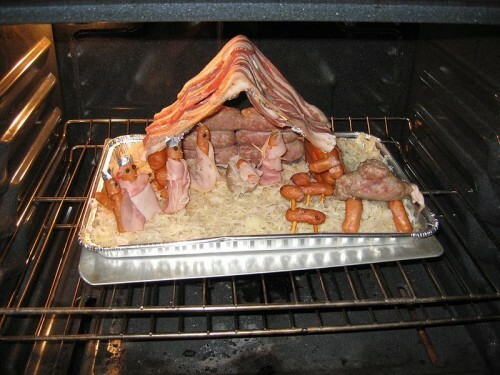 Merry Christmas everyone, including those of you who have way too much time on your hands (meat nativity scene creators and barbecue bloggers, for instance). Is that a bed of sauerkraut they’re standing on? Definitely a sign of the pending aporkalypse.